First we want to say thank you for use our theme. We truly appreciate your support! After you've installed WordPress and when everything is working fine as it should you need to go over some settings, just to make sure your wordpress is working without any problems. You can download latest theme version from your envato account. When creating a support ticket, try to explain as clearly as you can the issue you are having and what you were trying to do when the problem occurred. don't forget to provide the link to your site, wp-admin and FTP credentials. Our support guys will get back to you as soon as possible. The Boat Seller Theme support center works Monday through Friday. a) Start by download your theme from envato (how do that). Make absolutely, positively sure you selected and downloaded the “Installable WordPress file only”. Next login to your WordPress admin area and click on Appearance » Themes. You will be prompted to choose the zip file that you got earlier (b). Select the file and click Install Now. c) Decompress the file boatseller_file.zip in your hard drive. 4. Activate the theme - Go to Appearence, Themes and activate your theme. Now the boat seller theme is ready to use. If you are a Boat / PWC Seller, you need instal and activate the free BOAT DEALER plugin from WordPress repository. Once you have created your home page, you need to select it to show up as the home page. To do this, follow the steps below. You have 2 template options to create your home page. After create the some pages, you can create the menu. Go to Dashboard Appearence => Customize => Customize => Lay Out and select at Menus Enabled section. After that, go to Dashboard Appearence => Customize => Menus and setup the menu. WordPress Widgets add content and features to your Sidebar and Footer. Just go to Appearence, Widgets. Choose a Widget and drag it to the place where you wish it to appear. 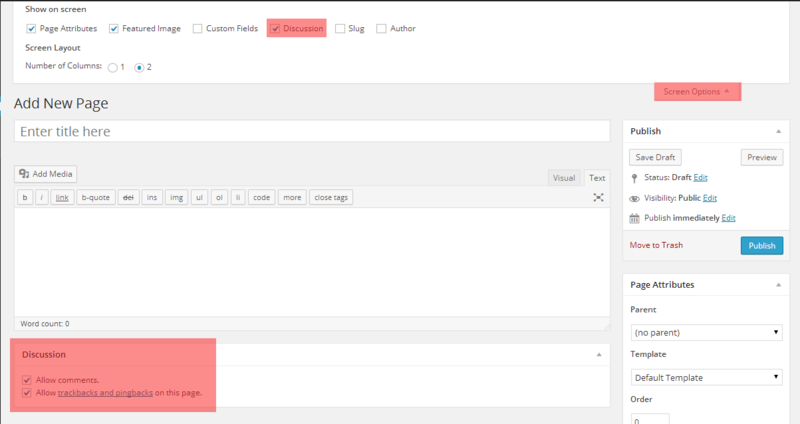 Once you dropped the widget to widget areas, WordPress automatically updates the Theme and it will appear in its area. Drag and Drop Search Boats Widget to Primary Widget Area (Sidebar). Fill Out the Title (Search Boats) and click SAVE. Drag and Drop Recent Boats Widget to Primary Widget Area (Sidebar). Fill Out the Number of Boats to show and click SAVE. Drag and Drop Featured Boats Widget to Primary Widget Area (Sidebar). Boat Seller Theme has an advanced panel that is loaded with options. Go to Appearance > Customize and take a look. We've organized them into logical sets and have given descriptions for items that need it, most things are self explanatory. Be sure to hit Save Changes to save your settings once you are done. Take a look also the plugin settings startup guide. Configure Header bottom border, transparency, shopping cart, text and Colors. Then, click SAVE & PUBLISH. Customize Link, Main Text Color and Secondary Text Color. If you don't want use the base scheme colors, you can use infinite colors at: Background Color and Page Background color controls. and you can choose colors, font size, margin and so on. When the setup is completed, click SAVE & PUBLISH. To manage the Models, go to your dashboard => Boat Dealer. This is optional and for advanced users. 1. Go to theme’s directory (usually wp-content/themes/) , find the folder boatseller, and open it. You can do it with any FTP programs, like filezilla. I mean, to the same folder where you can find all themes. and activate the boatseller child theme. Remember to do one back up of the theme and child theme folders before begin to make modifications. Please, remember: Our support finish after you install the child theme and it is working fine without modifications. We can’t give support to theme customizations. Comments are enabled on WordPress posts and pages by default. You can change the default for new posts or pages, as well as enable/disable comments on posts or pages you’ve already published. You can change the defaults for new posts or pages on the Settings -> Discussion screen. The Right Sidebar is the main widget area. Take a look the Widget areas section. We can provide support for general theme issues, such as if you are stuck setting the theme up to look like the demo or if you spot a bug. However, we can’t provide customisation services, there are a bunch of companies out there that can assist you with that for a fee, you can find them by searching Envato for “wordpress customisation service”. We can't provide support for plugins (except Boat dealer plugin). You need request support to the plugin's developer. You can download latest Wordpress version from wordpress.org. If you don't know what Wordpress is or have some difficulties with Wordpress installation, you can try to contact your service provider support. The Boazt Seller theme support center works Monday through Friday. Thanks a lot for using this theme. Hope you found this documentation helpful for using this theme. Please support this product by giving your ratings and testimonial. For any further help, you can visit our help site. a) Activate only the plugins required by the theme. b) Fill out all settings fields and take a look in your site. If works fine, begin to activate your anothers plugins, one each time. After install one plugin, look the site. If stops of works, means that plugin is not compatible with our plugin and you can't use it. 2) Check if you have the wordpress last version installed. 3) Fill out all settings fields for ours plugins. Ours plugins can tell to you if you have enough free memory or not and advise how to improve it. Usually have one Memory CheckUp tab or dashboard warning. Please, check that. You need include at least one property to slider works. Your property need have the price field fill out. Open Google Chrome and go to your site. Press: Ctrl + Shift + J. Error Console window will show you the errors in red color. 6) If that doesn't solve your issue, go to our support page and fill out one ticket.